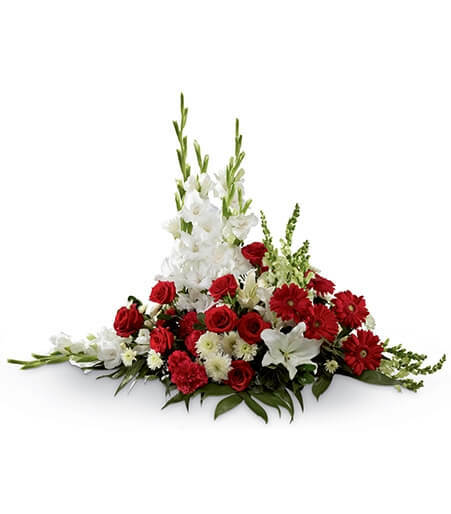 The Crimson & White Arrangement is a lovely symbol of peace and love. Red roses, carnations and gerbera daisies pop against the white blooms of gladiolus, snapdragons, Oriental lilies, and chrysanthemums. Accented with a variety of lush, vibrant greens, this exquisite arrangement is a beautiful tribute to the deceased.